This highly sophisticated 14K yellow gold necklace was made in the 1920s in an elegant and understated deco motif. 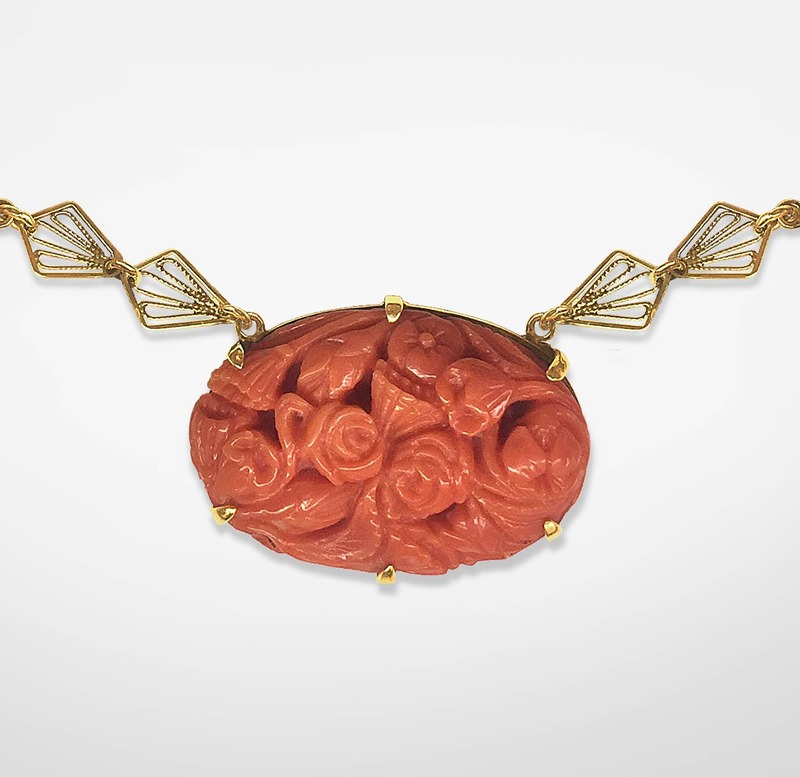 It is composed of three fine red-orange carved and pierced oval corals which are prong set in handmade mountings. 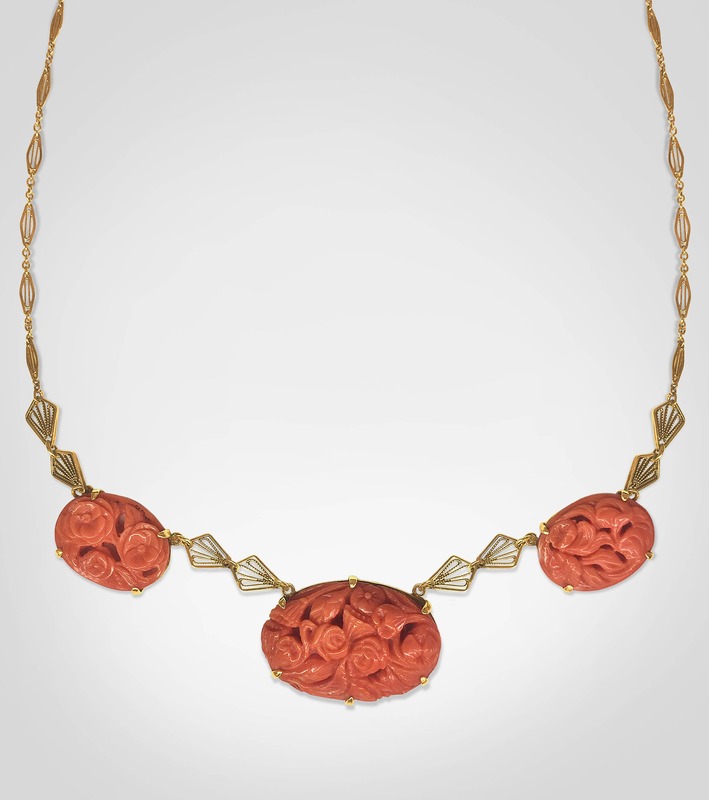 There are geometric filigree links between the corals which continue on to complete this refined piece of jewelry. The necklace is stamped 14K and measures 18 inches long inclusive of the original spring ring catch. If you wish, the necklace could be lengthened or shortened in our own workroom.